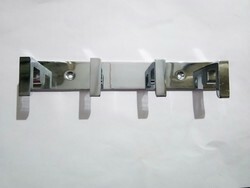 We are the manufacturer of all kind of Tie Slender Hangers for our valuable customers. With our years of experience & in-depth knowledge in this field, we are engaged in offering a quality-assured array of SS Hanger. We bring forth an exclusive range of Khuti that is provided with keeping in mind the requirement of the clients. Moreover, these are designed using superior quality material, obtained from the certified vendors of the market. Furthermore, we also offer customization of these products as per our clients’ specifications. 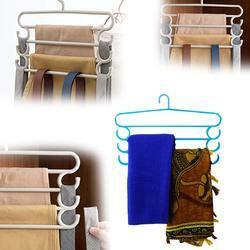 We are offering Robe Wall Hanger to our clients.